Part one of this two-part series looks at the rise of China's digital economy, the champion firms that dominate it, and their relationship with the Chinese state. The Chinese government's online censorship and alleged cyber espionage activities have long been a focus for international media. But while Beijing's heavy hand on the internet deserves attention, it is China's agile private sector that is generating advances truly felt beyond the country's borders. Backed by state industrial policy under the rubrics of Internet Plus, Made in China 2025 and the National IT Development Strategy, China's internet/tech sector is leveraging the country's fast-growing markets to build market power and drive innovations with global reach. The centrepiece of this story is an online ecosystem that has evolved separately from the platforms engineered in Silicon Valley. How much this owes to state controls on China's internet and protectionist support, versus Chinese firms' home market knowledge and entrepreneurial drive, is open to debate. In any case, China's online platforms are now distinct from their US-designed counterparts and in some respects more advanced, specifically in applications for mobile devices, 'online to offline' services and financial technology (fintech). China now accounts for half the world's digital payments and three quarters of the global online lending market, and those in China's expanding middle class conduct much of their personal and professional lives through integrated web platforms. This holistic, mobile-oriented digital universe has grown symbiotically with the adoption of smartphones, a product in which China's home-grown manufacturers are now catching up with global leaders. The ferment of China's internet economy, with 700 million users and climbing, has given rise to the world's most dynamic start-up scene. In the last three years it has produced 34 'unicorns' (private companies valued at more than US$1 billion), fuelled by a tsunami of private venture capital investment, a monstrous state-backed funding complex and a proliferation of state-supported incubators. Overshadowing this frenetic growth are a handful of corporate tech champions that now rival their US counterparts in size – the e-commerce behemoth Alibaba and the social media giant Tencent each have market capitalisations over US$250 billion. Alongside the search engine leader Baidu, these 'three kingdoms' of China's online services sector are funding and buying out start-ups even more aggressively than the titans of Silicon Valley. This dominance of a few huge firms reflects a global trend towards concentration of capital and market power, particularly in the knowledge economy. In the US, the top five companies by market capitalisation are now all tech firms, which are expanding into other sectors and putting pressure on incumbents. In the car industry, for example, technological trends are forcing established players to partner with young internet giants in order to stay competitive. Likewise, China's tech titans are now the main force in domestic mergers and acquisitions. They too are expanding into sectors such as healthcare, robotics, and most notably self-driving cars. The growing role of network connectivity in car usage, and the need for huge amounts of data to develop artificial intelligence, has made China's leading internet firms key players in this signature industry of the pre-digital economy. And they are squeezing out foreign competition in the process, with home-grown ridesharing app Didi's buyout of Uber's China business widely viewed as the nail in the coffin for US tech firms' hopes of conquering the China market. Foreign automakers, battery makers and navigation system providers may be next, as China seeks to leverage its unique online ecosystem into a physical 'Internet of Vehicles' based on Chinese technologies and firms. The outsized role of the state in funding this digital business boom does risk creating the overcapacity, inefficiency and outright fraud that Beijing's industrial policies have produced elsewhere. China's cash-flushed venture capital sector not only breeds some expensive failures, but also fuels successful firms' single-minded focus on speed and scale, to the neglect of profitability. Like the 'post-nineties' generation (China's equivalent of the millennials) from which their workforce is drawn, most Chinese internet businesses have known only a quarter-century of economic growth in which the global financial crisis was a speedbump – they have yet to face a chastening experience like the US dotcom bust of 2000-2002. A reckoning seems to have begun in 2016, with private investors going cold on internet start-ups and changing priorities from picking live unicorns to avoiding dead ones. This again mirrors the situation in the US tech sector, where concerns about overvaluation and unsustainable business models have dampened investor enthusiasm. But in China, the imperative to stimulate a slowing economy by promoting services and technological innovation means the state will likely keep pumping money into internet firms, raising the spectre of another asset bubble joining the nation's inflated stock and real estate markets. Nonetheless, China's tech sector should maintain momentum through its sheer entrepreneurial drive and ruthlessness. Firms operate in what Baidu's chief scientist described as a 'permanent state of war' – Silicon Valley is now being judged as too well-fed and complacent by comparison, with one observer noting that the start-up depicted in the eponymous HBO comedy would never survive in China. The general spirit is captured by a leaked Alibaba memo on responding to an invasion of penguins (referring to Tencent's moves into e-commerce) by taking the fight to their natural habitat and killing them there. This dog-eat-dog attitude is mirrored in the competition between Chinese provinces for start-up talent and capital, marking the digital economy as the next phase in reform-era China's Darwinian process of development. The tech sector will also benefit from the government's plans for the wider economy. Beijing is seeking to network and digitise not just China's vehicle fleet, but the nation's entire manufacturing sector, to keep it competitive in the face of rising wages, aging demographics and foreign technological advance. If this occurs for even a fraction of Chinese manufacturers, it will open new horizons for firms that provide data management and connectivity services. The rapid prototyping model already extant in the electronics hub of Shenzhen shows what can be achieved by marrying digital knowhow with Chinese manufacturing's agility and scale. Furthermore, the tech sector is increasingly entwined with the state-owned enterprises that retain a privileged place in China's political economy. Most of the US$10 billion of capital raisings for Chinese fintech firms during 2016 (more than double the figure for North America) came from state-owned investors. For these institutions, integration with internet services firms holds the promise of boosting profits and upgrading technological systems to internationally competitive levels. For the tech firms, the arrangement provides stable funding and political influence, although they are now wielding this in their own right – the influence of Tencent's chairman in spurring the central government's 'Internet Plus' industrial policy marks the tech sector's arrival as a national lobby group. For their part, China's leaders have expressly enlisted tech entrepreneurs to the national agenda, which to date has mainly meant 'purifying' the internet through cooperation with censorship directives. But leading tech firms are now exploiting their vast troves of user data to trial credit rating systems, which if successfully integrated by the Chinese state will give it an unprecedented capacity for individual monitoring and hence social control. In a country where the government asserts near-unrestricted access to personal data and requires internet firms to facilitate its control of information, the tech sector has no choice but to help the build the tools of a digital totalitarian state. And China's political economy rewards those who actively promote state policy directives. The Chinese tech sector's ability to work with the state and its demands (somewhat in contrast to US tech firms) is embodied by Alibaba's chairman Jack Ma. Mr Ma, whose stated policy on dealing with the government is 'to be in love with but not marry them', advocated using big data for crime pre-emption, in tune with the extant state-led project to develop Minority Report-style software for predicting malfeasance, and branded Alibaba's new e-commerce hub in Malaysia as part of a new Silk Road , echoing President Xi Jinping's centrepiece 'One Belt, One Road' foreign policy concept. The tech sector is also helping China's lumbering state-owned enterprises and strategic research projects exploit the benefits of digitisation – though the state sector and academia are also suffering from the internet firms' voracious demand for scarce talent. Alibaba, for instance, is partnering with Sinopec and China Mobile to develop cloud computing services and big data analytics, and with defence giant Norinco to drive commercialisation of China's Beidou satellite navigation system (at the expense of the US-controlled GPS). But the key field in which private sector internet firms are aiding China's race to the technological frontier is artificial intelligence. As 'the greatest business opportunity of our time', AI development is a natural investment for China's cashed up and data-rich internet giants. 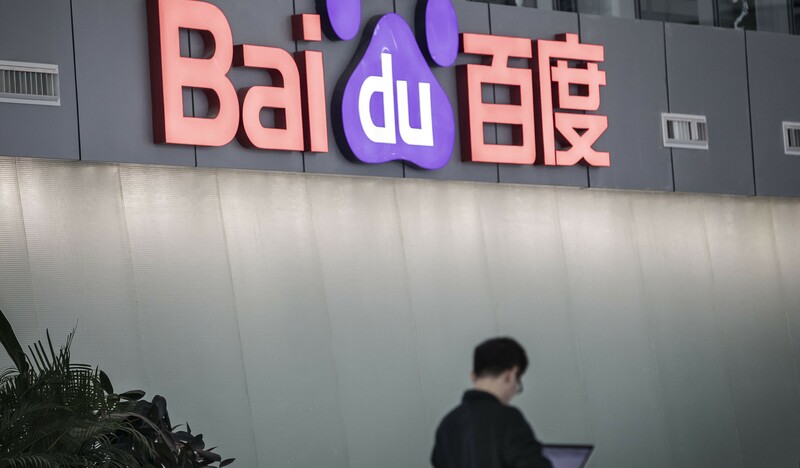 The frontrunner is Baidu, which has been commissioned to lead China's new national deep learning laboratory, fulfilling CEO Robin Li's call for a state-backed 'Apollo programme'-style drive to make the nation an AI world leader. Artificial intelligence is now an identified priority across China's science, technology and defence planning architecture – given US progress towards employing AI for military use, it will probably not be long before the People's Liberation Army follows the Pentagon's attempt to enlist the tech sector for defence innovation. To quote Baidu's former chief scientist Andrew Ng, 'whoever wins artificial intelligence will win the internet in China and around the world'. Yet as represented by Ng himself (a Stanford professor and former leader of the Google Brain project, who ran Baidu's research lab in Silicon Valley until last month) the rise of China's tech sector did not occur in isolation, but through exchanges with the outside world. How this happened, and what impact China's tech sector will have internationally in future, will be addressed in my next article. Negotiations that enhance trade openness would be fine, but it is clear this is not what Trump has in mind.